Look out for this spectacular new book to be launched in May 2019. In his new sequence of poems, Kevin Crossley-Holland approaches Seahenge along the Icknield Way and Peddar’s Way from his childhood home in the Chilterns, and his words are brilliantly complemented by Andrew Rafferty’s daring single-frame landscapes, seascapes and skyscapes, all of them taken at a moment in time. Together they enter the world of Seahenge’s creators and weave then and now, past and present, into something greater and more lasting than either. 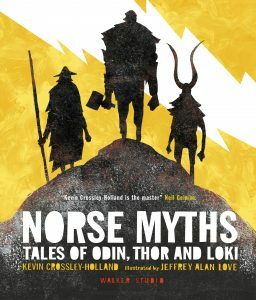 What are the Norse myths exactly? Clock’s ticking. Phew, lucky that Kevin Crossley-Holland, the Carnegie medal-winning author and poet, presumes ignorance from the start in this magnificent anthology. In the foreword of his book – a perfect Christmas present for little warriors everywhere – we learn that the Vikings believed that humans inhabited Midgard (Middle Earth) and shared it with dwarfs and giants. Above Midgard lived the gods in the realm of Asgard, and below Midgard was the third level, the world of the dead, ruled over by a woman whose body was half alive and half a corpse. The axis of these three levels? A colossal ash tree, which everything alive depended on: the Tree of Life. A man in Iceland called Snorri Sturluson (expect guffaws) eventually wrote down these myths, which Crossley-Holland read as a child and became entranced enough to write his own versions in adulthood. It’s impossible not to be captivated by these extraordinary characters, aided by Jeffrey Alan Love’s tremendous pictures of gods and goddesses, dwarfs and giants. 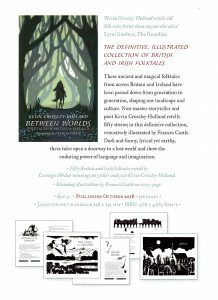 Crossley-Holland, who has translated Beowulf and is an expert in Norse mythology, is a natural storyteller who wears his learning lightly. He writes beautifully, dramatically and accessibly, whether he’s telling the story of one-eyed Odin, Thor’s mighty hammer or tricky Loki with the flaming hair. There is a helpful glossary at the back that allows you to tell your Aegir (the god of the ocean) from your Ymir (the first giant, made of fire of ice). At the end of the book the three mysterious wise kings – High-One, Just-as-High and Third – speak: “Tell these stories yourself and for as long as our worlds last, people will retell them. Make what use of them you can.” If they were still around to give dust-jacket quotes, they would effuse about these revived versions. Instead, the writer must make do with a modern literary deity, Neil Gaiman (“Kevin Crossley-Holland is the master”). He’s not wrong. Super news from the U.S. as the Wall Street Journal selects Norse Myths: Tales of Odin, Thor and Loki, as one of the 13 Children’s Books of the Year under the banner – The Best Children’s Books of 2017. 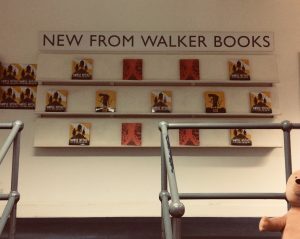 Philip Pullman returns to Brytain, Kevin Crossley-Holland tells “Norse Myths”, John Green goes “Turtles All the Way Down”. And energy is something which Kevin seems to have in abundance. The beginning of November saw the publication of his Norse Myths: Tales of Odin, Thor and Loki for children, with illustrations by Jeffrey Alan Love. Meanwhile, Radio 4 wants to make a 30-minute programme with him about the tides on the Staithe at Burnham Overy over 24-hours; David Cohen wants to make a film about Kevin based on the moored man from his poems, to premiere at the Oxford Literary Festival next March. Not bad for starters, but hot on the heels of his collaboration with composer Cecilia McDowall on As Each Leaf Dances, written at the invitation of Barnardo’s for the service of thanksgiving to commemorate its 150th anniversary at St Paul’s Cathedral last year, Kevin and Cecilia have just embarked on a new project together. Their commission for the National Children’s Choir will focus on children in conflict, with the story of cerebral palsy sufferer, Nujeen Mustafa and her journey with her sister from Syria to Germany at its heart. Closer to home, Kevin was involved with the beLong education project which ran alongside the Richard Long exhibition at Houghton Hall this year, writing poems for key stage 2 and 3 pupils. And his cycle of poems about Sea Henge at Holme will be appearing in an updated version of The Stones Remain: Megalithic Sites of Britain with photography by Andrew Rafferty, and text by Kevin. “I have Valkyries on either side of me, my wife and PA, suggesting I remember that the answer is no. I think a lot has to do with just plain curiosity. Everything is connected to so many other things. Curiosity is the thing which drives me, coupled with a sense of wonder really. “In old age you forget things more, you treasure friends, family, especially grandchildren, and have a keen sense that you need to prioritise. Prioritising is beginning to make its mark on me. This Carnegie Medal-winning author’s extensive backlist of works for children has surely inspired many a young reader. Indeed, Short and Short Too, his sequences of short stories printed over a double page have been a hit with schools, with the former reprinted 35 times. Young (and older readers) will be delighted to hear that Walker is re-issuing his British Folk Tales next year, and that Kevin is “re-brewing” his children’s book on the 1953 flood. I’m just not sure I can keep up! inc p&p) is a beautifully illustrated doorstopper of an anthology, in which the poet and Carnegie-winning author Kevin Crossley-Holland retells the legends of the Viking gods. Gatty is perhaps the most loved of Kevin’s heroines. His account of her pilgrimage to Jerusalem has just been reprinted by Orion Books. BOB CHILCOTT’S new CD, In Winter’s Arms (Signum SIGCD311) includes his wonderful setting of MY PERFECT STRANGER (first sung and broadcast by the BBC Singers), Kevin’s short Nativity cantata, as well as two of his carols, Nine Gifts and Jesus, Springing. NORTH NORFOLK LIVING will run a feature on Kevin (‘Not the Retiring Type’) in its Winter edition (December, 2017). 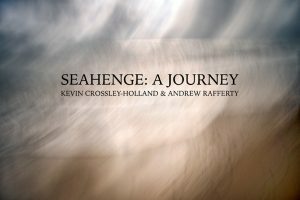 Kevin Crossley-Holland is the featured poet in the new edition of RESURGENCE magazine (December, 2017), and they will print three poems from his Seahenge sequence, with photographs by Andy Rafferty.